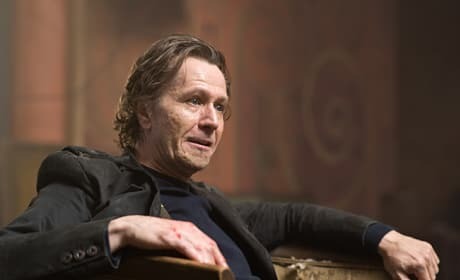 Gary Oldman plays the villainous Carnegie in The Book of Eli. 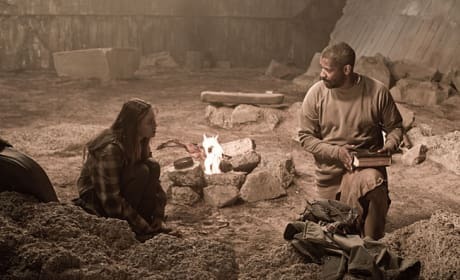 Denzel Washington and Mila Kunis take refuge by the fire in The Book of Eli. 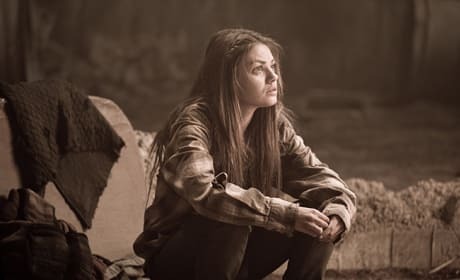 Mila Kunis plays Solara in The Book of Eli. 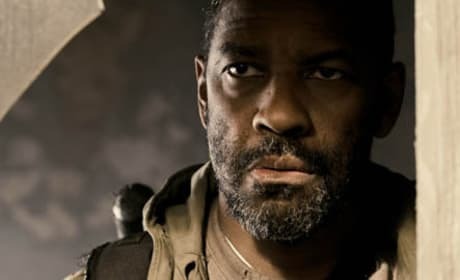 Denzel Washington plays Eli, a man on a mission from God in The Book of Eli. 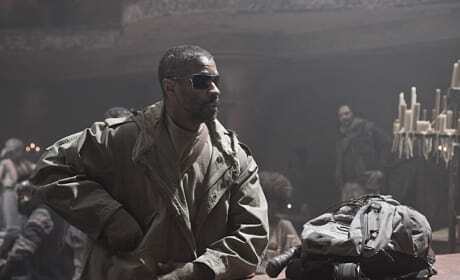 The Hughes Brothers direct Denzel Washington in a scene from The Book of Eli. 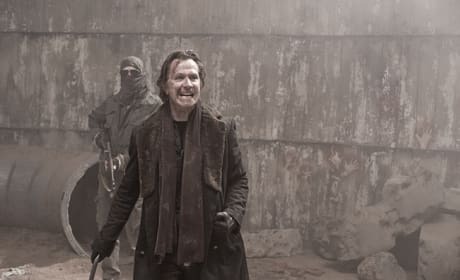 The Hughes Brothers direct Gary Oldman in a scene from The Book of Eli. Gary Oldman intimidates his wife at the dinner table while Solara watches. 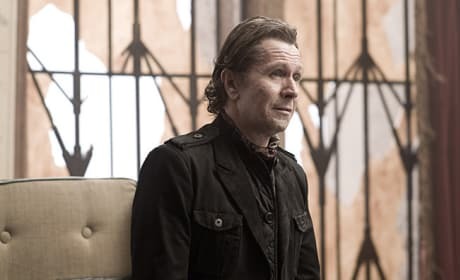 Gary Oldman plays the villainous Carnegie, controller of a war-torn shanty town in The Book of Eli. 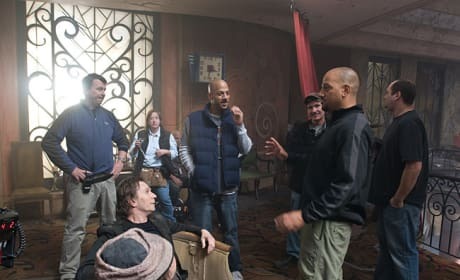 The Hughes Brothers direct Denzel Washington on the hotel lobby set. 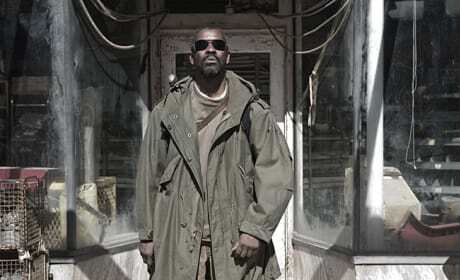 Eli arrives at the hotel in the apocalypse-ravaged town in The Book of Eli.